Smithfield market has been in the same site since it was established over 800 years ago. It is the only great London market not to have moved out of central London. Up the street to the left of this building is the fully restored and working meat processing market which supplies inner city butchers, shops and restaurants daily. 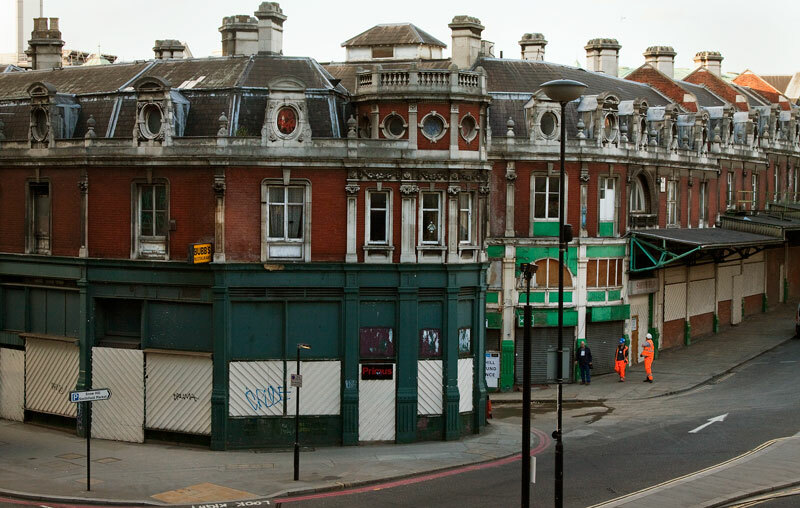 This is the abandoned general market of Smithfield, which was built in 1883. At the end of World War II, a V2 rocket struck at the north side of Charterhouse Street, near the junction with Farringdon Road (1945). The explosion caused massive damage to the market buildings, extending into the railway/underground tunnel below, and over 110 casualties. It has been under threat of demolition for a long time but after many years of lobbying by various heritage groups it appears that it may be granted a heritage grading that will see it saved and eventually restored. My bro-in-law has a butchers shop on Chapel Street Market, Islington. He buys all his meat from here. What a great looking place. Love old markets. Thanks for the bit of history! 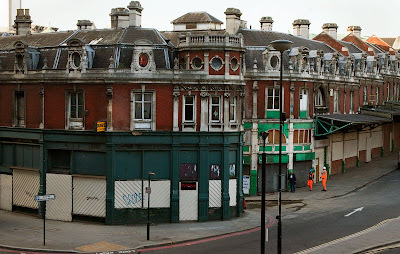 I hope they do save the market, it's such a lovely building! 800 years is a very long time. I've wandered through the meat market years back. I don't think I was a vegetarian then but it's enough to give a sensitive vegetarian or vegan an anxiety attack. As others have commented, it is nice to read that it will be saved. We hope it will be restored and not suffer the fate of Forum les Halles in Paris. What beautiful architecture. Would be great if they remodeled them into living space. It is stunning. So glad to hear that it will be saved. Hate to see anything so old and beautiful torn down! It's an attractive building with a great history - we really should try and hang on to these gems. But it will be a challenge to find a new use for it.